Donating my car was quick and easy. It seemed like a great way to put an old car to good use. But receiving a $30 tax receipt for a used car, in any condition is kind of awful. I feel like I would have been better off just selling the car and making a cash donation. 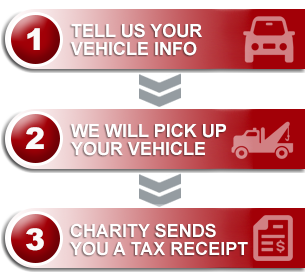 Message from Donate a Car: Joel, Thank you for reaching out and posting a testimonial. We here at Donate a Car are feeling the effects of the dropping metal prices, and we are heart broken to share the news of the lower than average returns to both the donors and receiving charities at this time. Please know that we are working diligently with our agents to continue to provide the highest possible donation in this depressed market. Rest assured that when the economy starts to get better, the prices of metal will increase, and so will the donation amounts. For a more detailed explanation on the prices and how they are determined, please check out our blog the Metal Monster. We give our sincere gratitude to all of our donors that continue to support the charities through our program. Regardless of the lower prices at this time, the acts of kindness and giving are still strong and commendable.